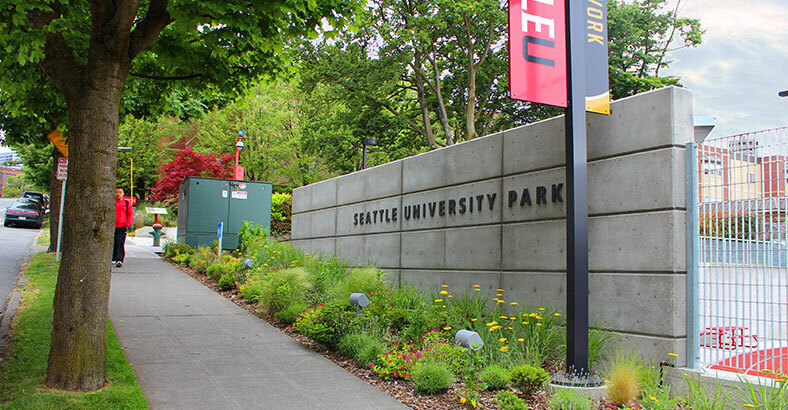 Set in the heart of Seattle’s Capitol Hill neighborhood, Seattle University Park exemplifies Seattle University’s vision and dedication to educating the whole person. The park encompasses an entire city block and forms the southern boundary of the university’s urban campus. 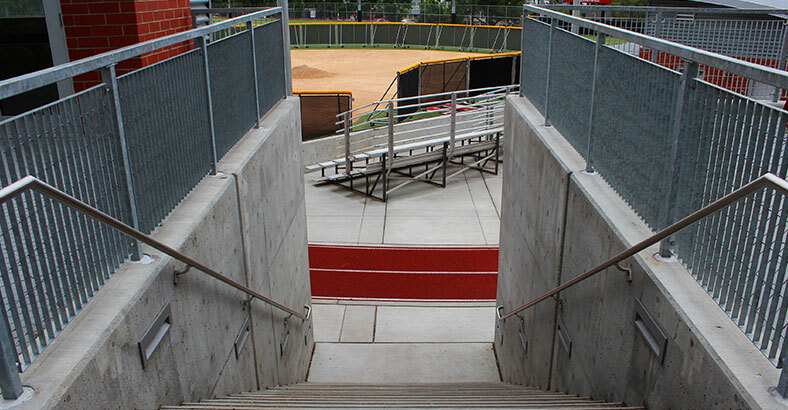 The existing sports field was unplayable for a significant portion of the year. 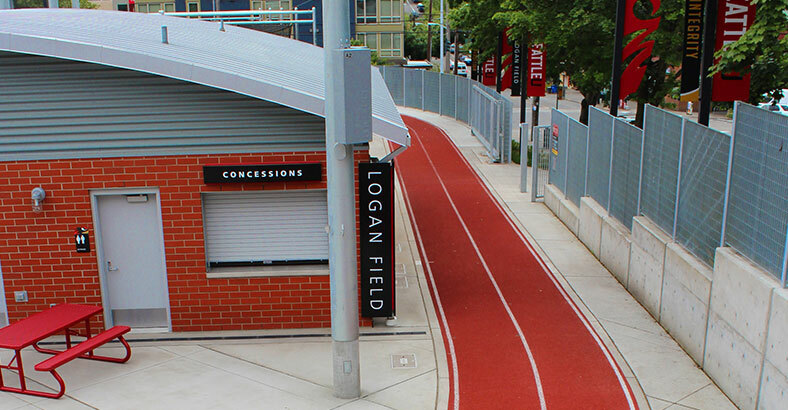 The redevelopment of the existing facility transformed an aging field and impervious surface into a pervious open space that supports the university and engages the surrounding community. 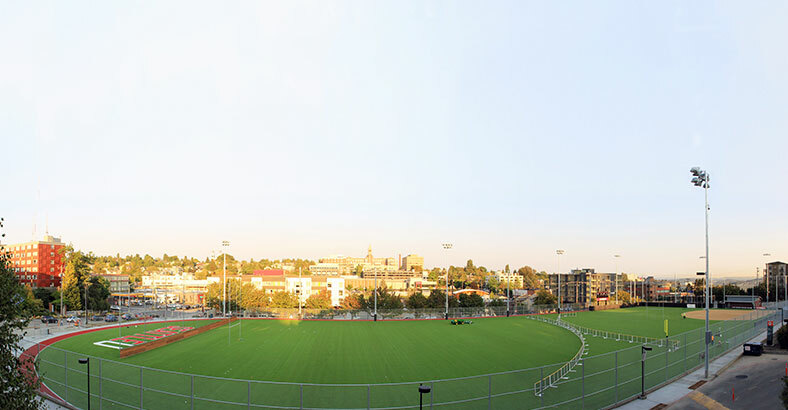 The new park has revitalized the space and the surrounding neighborhood by providing a durable surface during Washington’s wet seasons to handle the pressure of the growing urban university and associated intercollegiate athletics, recreation, and club sport programs. The site not only provides space for active recreation but also includes passive spaces for the students, faculty, and the general public, as well as improved pedestrian connections from the site to the campus and surrounding neighborhood. An extensive site inventory and analysis was required to fully understand the opportunities and constraints of the site. Minimal as-built information existed, requiring in-depth on-site verification to fully understand how the site constraints may conflict with the proposed improvements. Situated on a slope falling from west to east, over 24′ of elevation separates the former 13th Avenue above from 12th Avenue below. The large amount of elevation change across the site proved to be a formidable design challenge. Existing retaining walls, some of which were over 50 years old, retain the adjacent slope and campus buildings to the west while walls of similar age hold the east side of the site back from 12th avenue below. These walls provide a relatively flat surface. The existing wall footings of various widths, thicknesses and elevations extend into the site on both the east and west perimeters. A full understanding of the existing footing construction was necessary in order to ensure that the park could be designed to accommodate the various field dimensions and optimal slopes for play. Due to the limited as-built information available for the existing site and the retaining walls in particular, the wall footings were potholed and analyzed to determine where some of the improvements – such as the perimeter walkway, track and field, and light pole foundations – could be set without affecting the integrity of the existing walls. Furthermore, an existing 10′ deep Seattle Public Utilities vault placed an additional constraint on any proposed expansion beyond the existing site footprint. 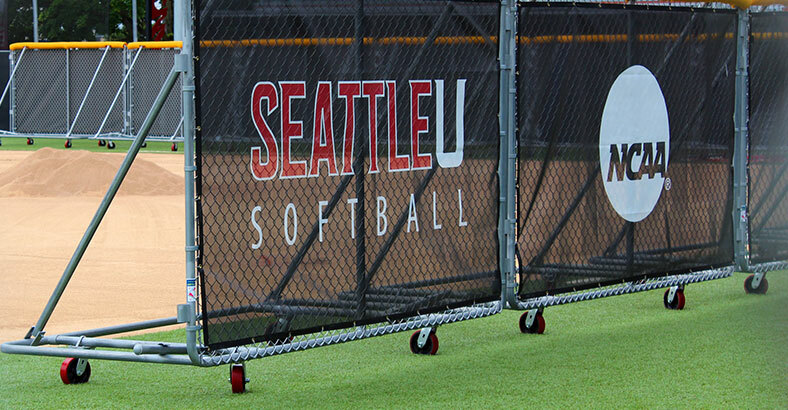 While the initial design program was established by the university, the final design program was refined and set through a series of meetings with the university and the end users, including not only Seattle University Intercollegiate Athletics, recreation, and club sports but also the surrounding community residents and business owners. While the park is used primarily by students, student athletes, and faculty, it is also open to the local neighborhood and general public. Pervious Jogging Track: The jogging track section includes pervious rubberized track material, pervious asphalt and permeable crushed rock which allow the water to infiltrate into the sub grade. Synthetic Turf Surfacing: The synthetic turf surfacing section is completely pervious and allows water to infiltrate into the sub grade. Infill materials are comprised of ground rubber made from thousands of used tires. The synthetic turf fiber and backing can be recycled/repurposed at the end of its lifecycle. Reduced Maintenance: The synthetic turf material only requires monthly grooming as opposed to natural turf which previously required mowing every week, resulting in an overall reduction of unregulated carbon emissions discharged into the atmosphere from the mowers. Conservation of Natural Resources: The synthetic turf surfacing does not require irrigation, resulting in reduced water usage and thousands of gallons of water conserved each year. Elimination of Synthetic Fertilizers: Synthetic turf does not require the production or application of synthetic fertilizers, which reduces the energy required for fertilizer production, application and the energy required to treat fertilizer laden stormwater. 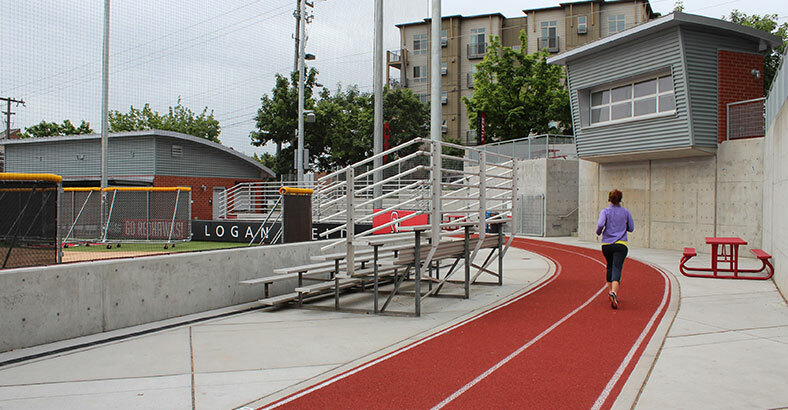 SE Curved Wall: The new curved wall served a dual purpose by providing additional space for future campus entry improvements at the corner of 12th Avenue and east Jefferson Street while providing the space necessary for the smooth track radius above. The use of light weight fill (geofoam) materials for backfill allowed the radius wall to be placed within three feet of the existing underground vault that houses city domestic water pumps. 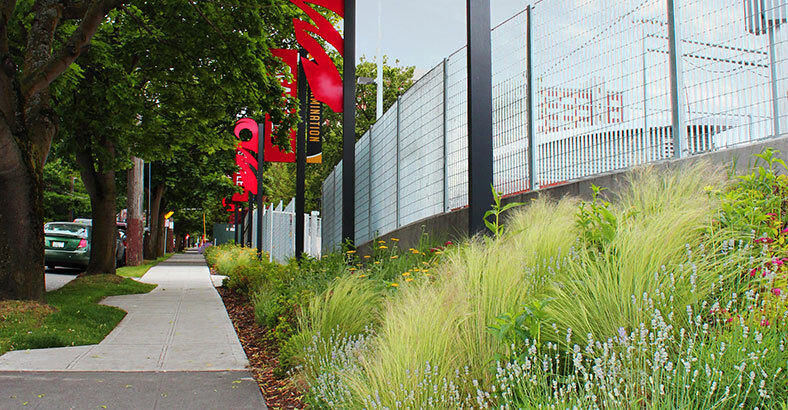 Minimizing the Height of the 12th Avenue Wall: Installing semi-transparent netting along the field edge provided the necessary prevention measures – without increasing the fence or wall height, something that neighbors were particularly opposed to – required to keep errant balls from leaving the field and hitting cars. NE Entry Steps and Seatwalls: The northeast entry steps and seatwalls were set back from the 12th Avenue and east Cherry Street intersection. 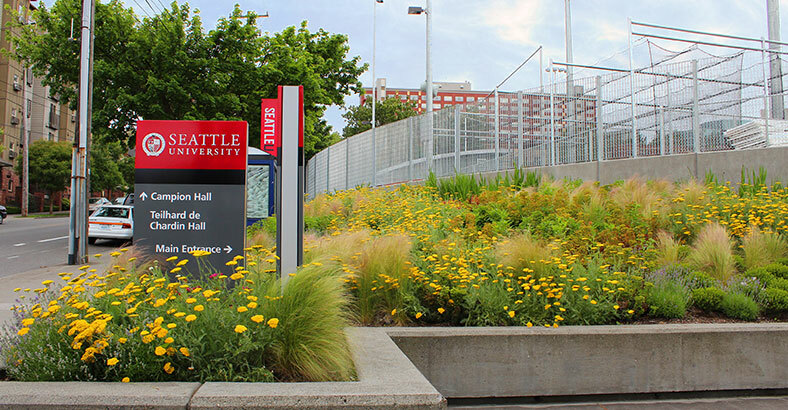 They are well lit and provide ample seating for students and the general public to relax in while also providing a strong connection to both the rest of the campus to the north as well as 12th avenue to the east. Acting as the main entrance to the park, the increased pedestrian traffic through this area increased safety and eliminated the dark spaces associated with the original layout.